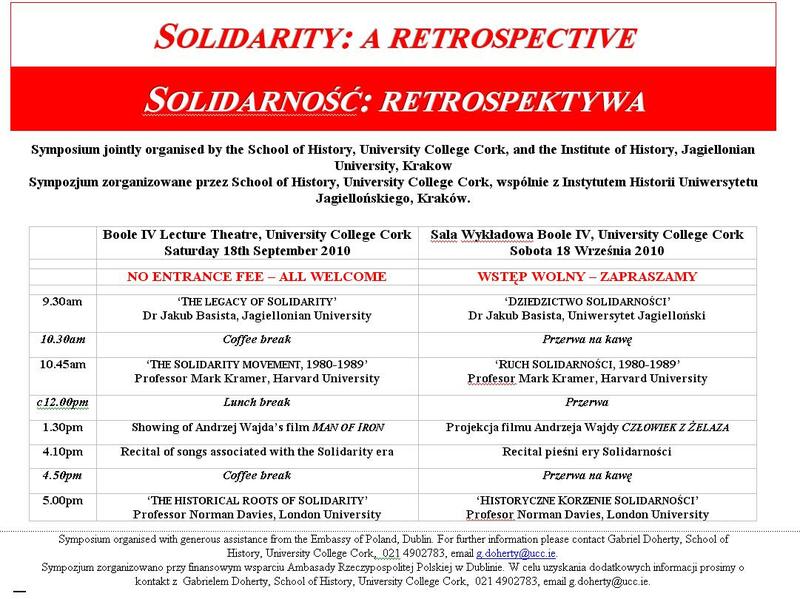 The School of History, University College Cork, in association with the Institute of History of the Jagiellonian University in Krakow, is pleased to announce that a one-day conference to mark the thirtieth anniversary of the creation of the Solidarity movement in Poland is scheduled to take place in University College Cork on Saturday 18th September 2010. 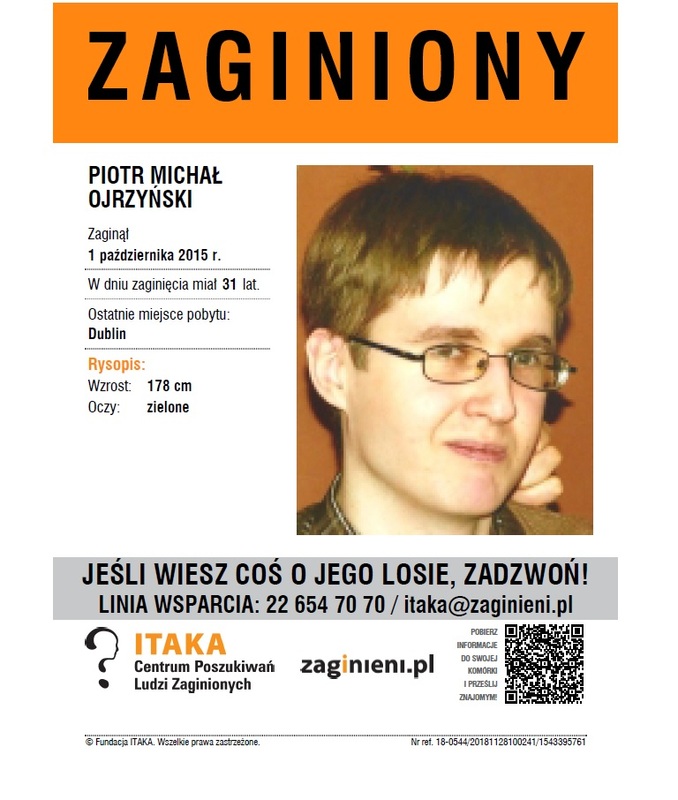 The conference, entitled ‘Solidarity: a retrospective’, has attracted a number of distinguished historians, from Poland, Britain and the United States, each of whom will analyse different aspects of the origins, achievements and legacy of this landmark movement in the history of modern Europe. 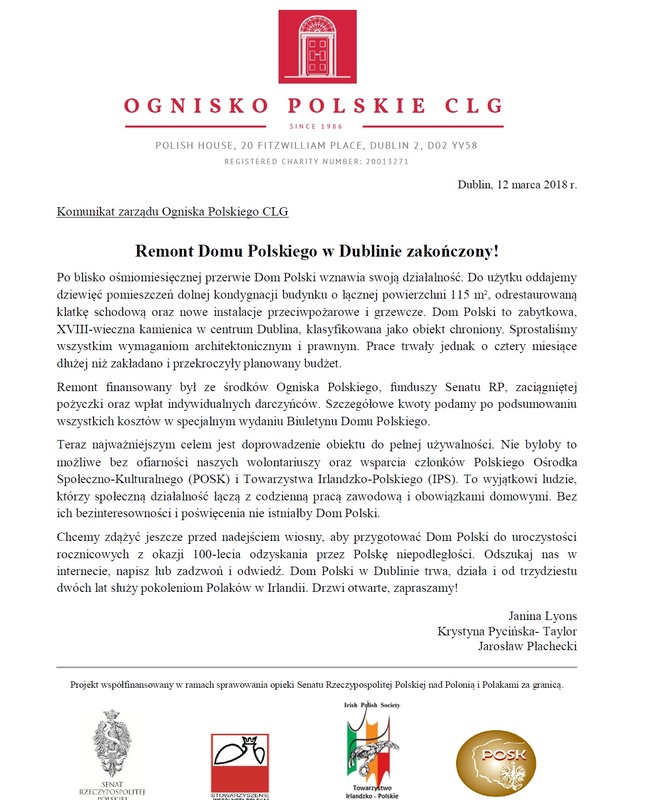 Particularly noteworthy is the involvement of Professor Norman Davies, doyenne of English-speaking historians of Poland and author of (amongst other books) the global best-seller Europe: a history and God’s playground, the standard work on Polish history. Also speaking are Professor Mark Kramer of Harvard University (author of The Black Book of Communism) and Dr Jakub Basista, assistant head of the Institute of History of the Jagiellonian University and an expert in the modern political and social history of Poland. 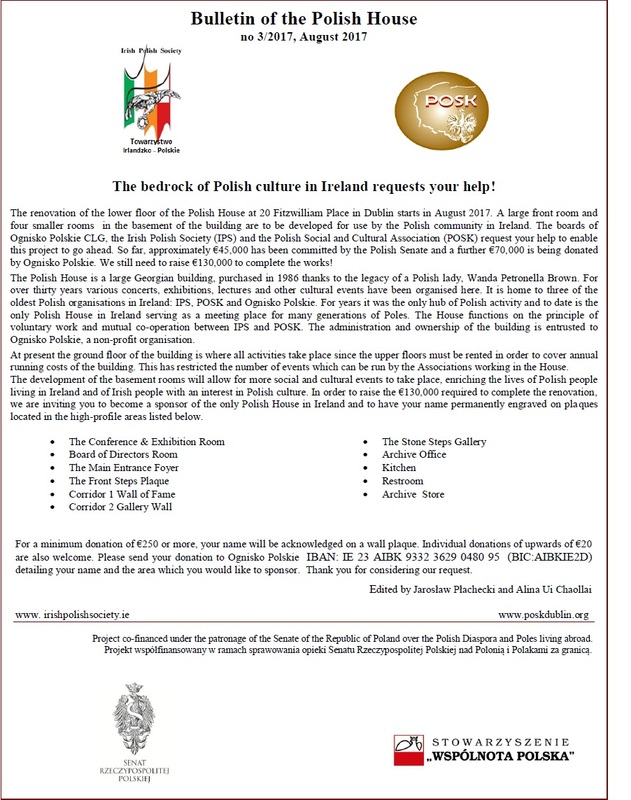 Also speaking will be Dr Janina Lyons Lyons IPS presentation and Professor Professor Maciej Smolenski of the Irish-Polish Society, who will discuss the support afforded to the Solidarity movement in the 1980s by the Polish community in Ireland, and by the Irish people, at that time. 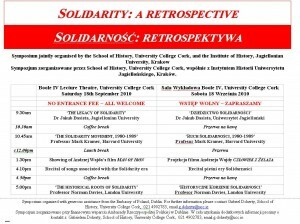 In addition to these talks, there will also be a recital of songs from the Solidarity era by Cork’s own Polish choir, and a showing of Andrzej Wajda’s film Man of Iron, which chronicles the struggle to establish Solidarity and which won the Palme D’Or at the Cannes Film Festival in 1981. 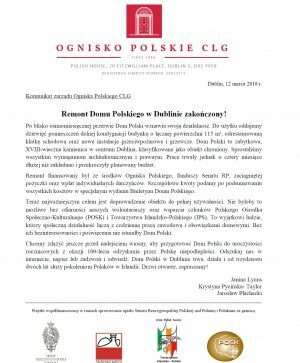 This event is being organised by Gabriel Doherty of UCC’s School of History, with generous assistance from the Embassy of Poland, Dublin. The proceedings will take place in UCC’s Boole IV lecture theatre. 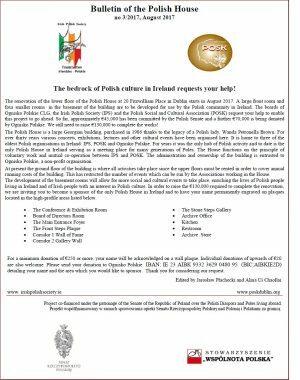 There is no charge for attending the conference, which is open to the public, with a particular invitation extended to the Polish community in Ireland. 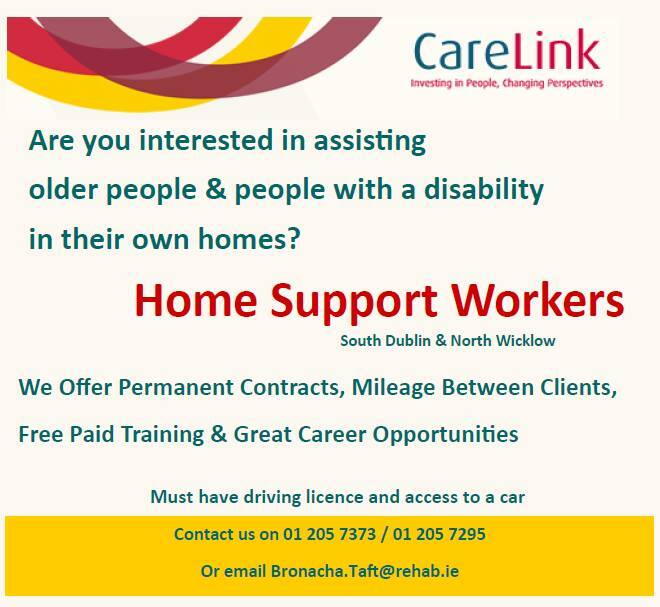 For further information please contact: Gabriel Doherty, University College Cork 021 4902783, g.doherty@ucc.ie. 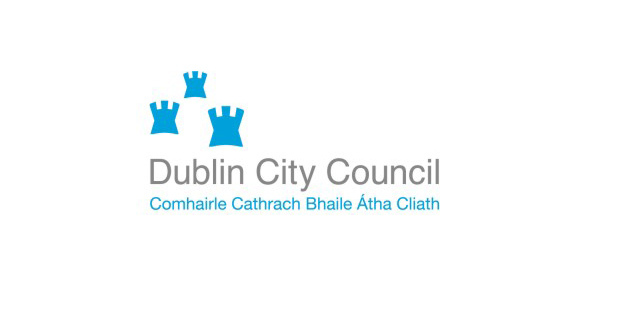 The programme for the event can be found at http://www.ucc.ie/en/history/home/. I’d come to give carte blanche with you one this subject. Which is not something I usually do! I really like reading a post that will make people think. Also, thanks for allowing me to comment!